Penn State fans sure hope so. Six years ago, while the Nittany Lions were mired in a disappointing season, they upset the fourth-ranked Wolverines 84-78 at the Bryce Jordan Center. Penn State faces the same scenario as the University of Michigan team returns to Happy Valley. Tipoff between the two squads is set for 8:30 p.m. on February 12. If you still need seats, you can purchase tickets on Ticketmaster. 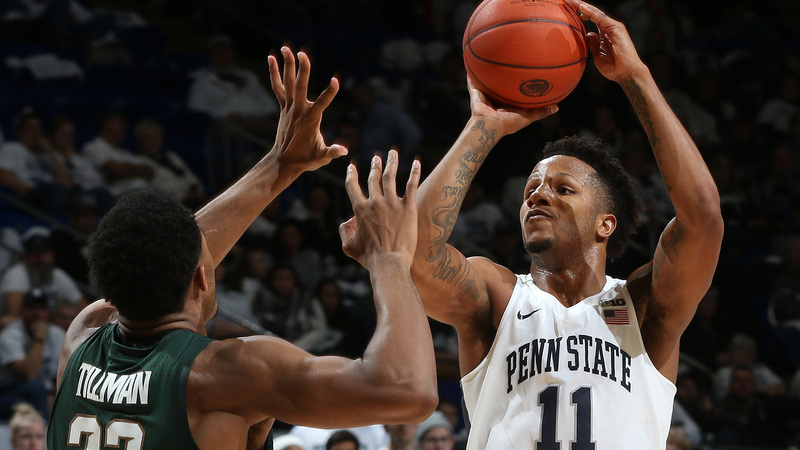 At a little more than halfway through the season, Lamar Stevens leads the Penn State team in scoring (18.7 per game), followed by Rasir Bolton (11.4) and Josh Reaves (10.1). Michigan, meanwhile, began the year with its best start in program history, exceeding previous 16-0 starts in 2012-13 and 1985-86. To add to the challenge the Wolverines' feat was the best start to a season for any Big Ten team since 2010-11. Penn State has struggled offensively through much of the Big Ten slate, and Michigan boasts one of the nation's best defenses. If you're looking for a chance at an upset, however, just look to six years ago and know the Bryce Jordan Center should be rocking when the Wolverines come to town. Stay tuned to HappyValley.com for more information on the game as we get closer to the showdown.